3 Top Foods to Beat The Stomach Virus Blues - Real Food. Real Fitness. Yes, its that time of year for us in Michigan. Cold weather brings long days stuck indoors and lots of germs being passed around. Last week my household fell victim to the dreaded “stomach” flu. I knew it was bound to happen. Someone usually gets it once a year and since it spreads like wildfire usually more will catch it. Last year my oldest daughter was the only one to get it and though I helped her through the night somehow I did not catch it. This year NOT so lucky. Four out of five of us all got sick within hours of each other. My husband was the lucky dog who somehow dodged the wicked virus this time (though he had his hands full tending to all of us!). So without going into detail as we all know what the stomach flu entitles I wanted to share my 3 top foods to heal upset tummies and get back to normal. We skip the processed crackers, chemical laden jello, and ginger ale and go for the healing foods! First things first when you or your child is vomiting just let things happen. Obviously if there are any signs of severe dehydration get to your nearest emergency room. Otherwise after the last bout of vomiting and stomach settles down let the stomach rest for at least 3 hours and then ice chips are a great option. This is usually 3-6 hrs after. After that my kids began to ask for food and water. At this point I will offer Bone Broth. Hopefully I have some made in the fridge and if not I usually have a few cups in my freezer from my last batch so I will quickly defrost those. Avoid store bought broth as its not really REAL broth with the healing properties in tact. 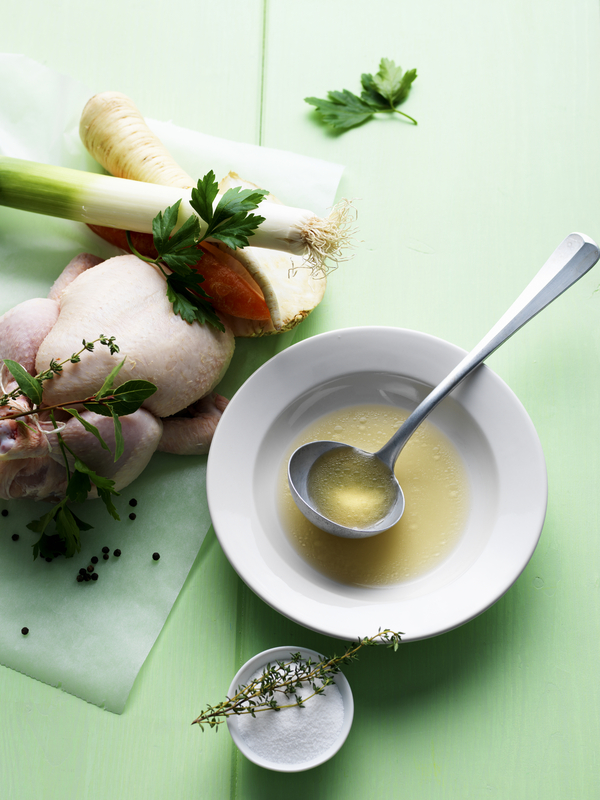 BONE BROTH is a superfood to heal upset tummies. Gelatin, which occurs naturally in homemade bone broth, binds to toxins (including viruses and bacteria in the gut) and helps to usher them out of the digestive system. It helps to soothe and heal the stomach during and after a bout with a stomach virus. Gelatin in bone broths contains “conditional” amino acids arginine, glycine, glutamine and proline. These amino acids also contribute to stock’s healing properties. So we all sip on broth for a while and slowly come back to life. At this point someone will ask for food or say their tummy feels better but its growling. Instead of grabbing for crackers or ginger ale my next go to is ……..RAW KEFIR. I put some in the blender with ice and a banana to make a smoothie texture. RAW KEFIR is FULL of probiotics! These “good” bacteria are just what the stomach needs to heal. 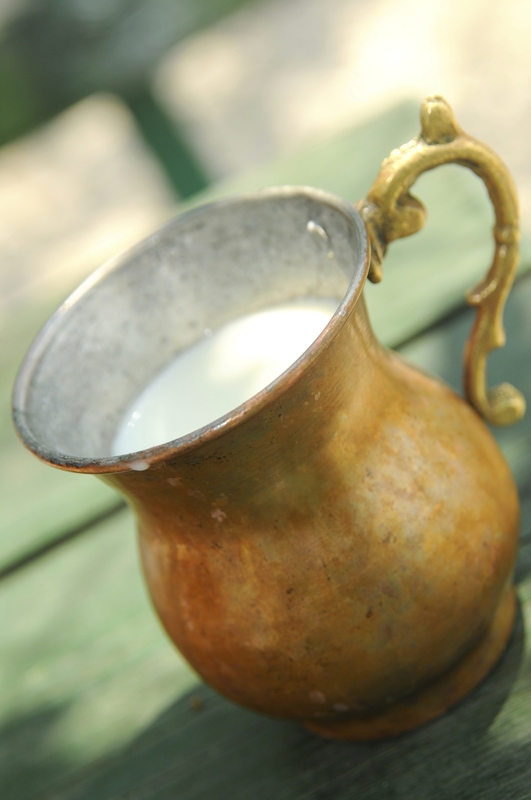 Kefir is indeed one of the most potent probiotics you can consume. These “good” bacteria are necessary for digestive and intestinal health. A build-up of the good bacteria in your intestines will help keep your immune system stronger. The most effective way to get your body and system back in balance, restore your gut flora, and keep parasites/viruses in check is to restore your good bacteria. As soon as everyone is able to keep some liquids down we move on to AMASAI or ORGANIC PASTURED PLAIN FULL FAT YOGURTS next. I will mix these also into smoothies with frozen fruit and coconut oil or manna. YOGURTS are also full of probiotics. They have a thicker consistency than kefir and are more like pudding so will be a bit more filling. AMASAI a cultured dairy drink is also a great option. All in all our total sick time only lasted 36-48 hours and energy was quickly restored! So next time you are feeling under the weather remember my top 3 healing foods for recovery from the stomach flu and you will be back to normal in no time! These foods are also great to include in your everyday diet to help ward of the nasty virus!